Spy vs. super-spy! At last, Ninjak is about to fi nd himself face-to-face with the surgically precise killer that has been eliminating the operatives of MI-6's most elite intelligence service - the deep-black training unit known as the 'Ninja Programme' - one by one. But this shocking truth will also bring a devastating realization about Colin King's own past screaming into the modern day? With a gun at his back and a sword at his side, Britain's most elite super-spy is about to have his faith in queen and country tested like never before... 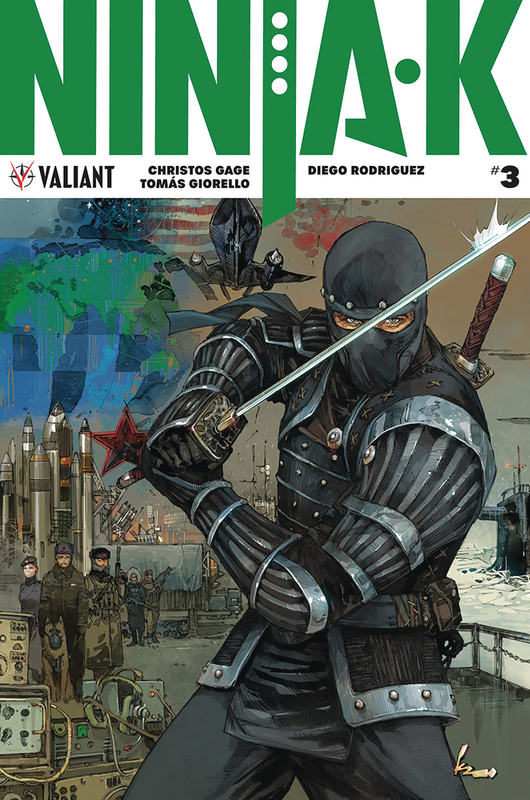 The mystery of 'THE NINJA FILES' continues as renowned writer Christos Gage (Netflix's Daredevil) and superstar artist Tom?s Giorello (X-O MANOWAR) lead MI-6's deadliest secret agent ever deeper into an shadow-laden game of cat and mouse?